Anyone who has ever handed their expensive tablet to their child before, will know of the fear and trepidation in doing so. Sticky finger marks, accidentally bought in-app purchases, and – God forbid – cracked screens can all result when the kiddies are at play. If only there was tablet out there for children that possessed all the cool features of a regular adult slate but was safe for them to kid-handle. Hot damn, there is my friend, and it's called the LeapPad Platinum. This tablet for kids aged three to nine is the latest in a long line of educational technology from LeapFrog, and this looks to be their most advanced yet. In a nutshell this rugged, protected tablet features a seven inch capacitive touchscreen (with a grip-friendly bumper-like bezel all the way around), 8 GB of onboard storage, a 2MP camera on the front and on the back, a web browser that has been limited to make it safe for kids, and access to hundreds of games and apps, as well as having plenty pre-installed goodies with which to get your kids started. 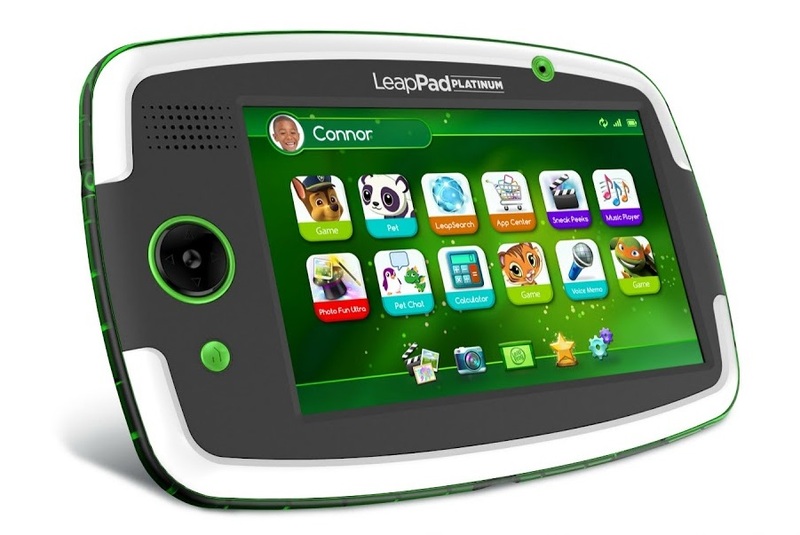 The first thing we noticed with the LeapPad Platinum once we had charged it up, was how impressive the screen is. Those seven inches are used well to cram in a 1024x600 resolution, which on a device this small (and this price) is great. Clearly the Platinum has more muscle in the processing department as well, as the main menu screen loaded quickly and smoothly. 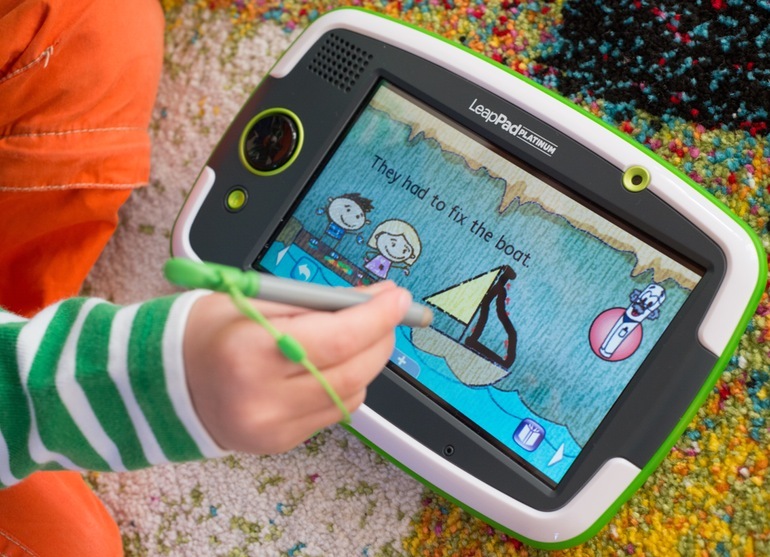 In fact all transitions between apps and screens were slick and quick, and the touchscreen is the most responsive we've ever tested on a kid tablet. Another part of the hardware to mention are the two cameras. As well as taking snaps in 2MP, kids can also record video at 480p. That doesn't sound like much, but when viewed back on the LeapPad's smallish screen, it looks fine. Plus, capturing at a lower res means that the onboard storage won't be quickly sapped by videos of the dog or, as we found when we gave ours to our six year old tester, nearly an hour of video of the living room carpet. Fun. 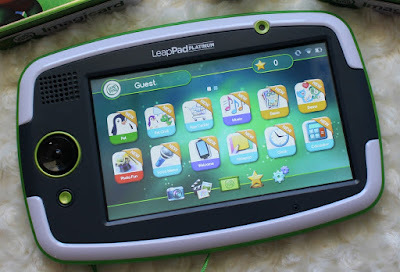 The included apps include the likes of a media player (files can be uploaded via the bundled USB cable – which is also used to charge the LeapPad Platinum), LeapSearch, which is LeapFrog's safe web browser that uses the built-in WiFi, a PhotoFun app that lets you edit your pictures, utility apps such as a calculator, and also a credit to download something from the App Centre. On the store you'll find hundreds of fun things, most with an educational twist, and lots of recognisable faces in the forms of licensed games featuring the PAW Patrol and Team Umizoomi (our personal faves). We'll be honest that we found the majority of the apps and games to be quite expensive, with many of them coming in at £7.50 (and some Frozen titles priced at £15). That's pretty cheap compared to console game prices, but for a digital download it is a lot – so pick your freebie wisely. 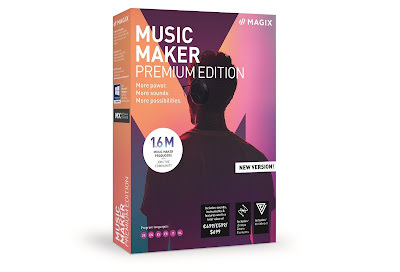 Another bit of added extra is the inclusion of Imagicard, a physical card-based game from LeapFrog. You can purchase additional packs, again with kids' TV characters, which then unlock a download. 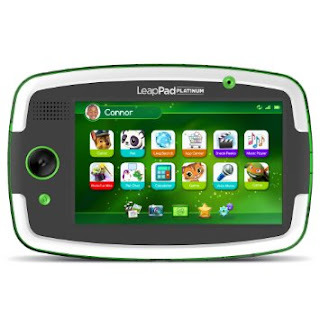 It's quite a nice additional as there are six cards included with the LeapPad Platinum, and the more kids collect, the more they can unlock in the games and apps. So although we were tad shocked by the prices of the apps, there is enough included with the LeapFrog LeapPad Platinum to keep kids of all ages entertained for a good long while. The emphasis is very much on education and learning, but our young tester found it to be both fun and useful. 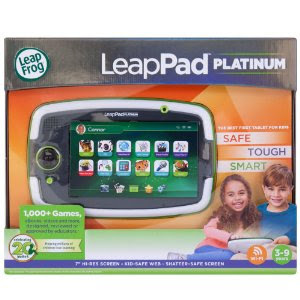 If you're thinking about getting your kids a cheap tablet, one for watching movies and playing games, the price of the LeapPad Platinum really makes it attractive, as well as the fact that it essentially comes in it's own protective case. Check it out.